When you sell your scrap car, or used car with CarTakeBack.com, you’ll be joining thousands of happy customers. We’re proud to say that 97% of our customers would recommend us to a friend. If you need some help deciding whether to have your old car collected or to drop it off, or perhaps you've already accepted your quote and have a question about the paperwork, it's easy to get in touch with us by phone or email. Whether your selling a car for scrap, or you're selling a used car, we're on hand to help you every step of the way - from finding the best price for your car, right up until the payment and paperwork are sorted. 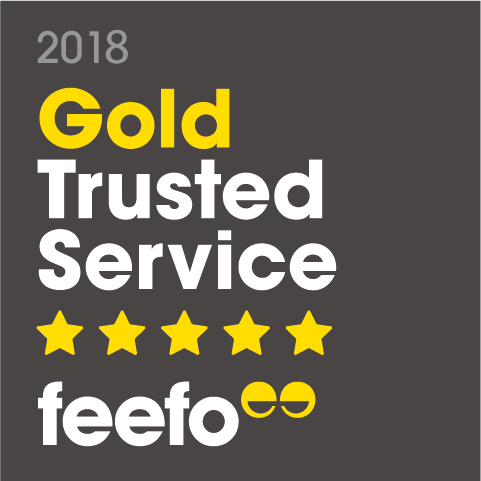 CarTakeBack are winners of the Feefo Gold Trusted Service award, an independent seal of excellence that recognises businesses for delivering exceptional experiences, as reviewed by real customers. Independent review site, Feefo, awarded this to us because CarTakeBack customer reviews rated our car buying service between 4.5 and 5 throughout last year. Sad or glad to see your old car go? Why not go to our Facebook page, post a photo or video of you and your old car, and tell us how you feel? You can take a look at some of the selfies sent in by CarTakeBack customers recently in our blog. Saturday 15:24 - Mrs Fiona Simpson, Stoke-on-Trent - Renault ModusEasy to use. Saturday 14:21 - Mr James Murray, Tunbridge Wells - Vauxhall MerivaSimple to do. Saturday 13:55 - Mr Paul Haines, Canterbury - Vauxhall VectraEasy! Saturday 12:51 - Araba Nunoo, Northolt - Audi A4Easy to use and make arrangements. Saturday 12:40 - Mr Paul Lindsley, Bishop Auckland - Vauxhall VectraEasy to do online. Saturday 11:17 - Mr Shaun Agutter, Sutton - Ford KaSo easy. Saturday 11:08 - Mr Paul Madden, LUTON - Mercedes E320Easy transaction. Saturday 10:20 - Mr Bob Donnelly, Nuneaton - Ford KaEasy to use website. Saturday 10:04 - Miss ANN MARIE Marshall, Stirling - Renault Megane. Saturday 09:52 - Mrs Joanne Campbell, Stockport - Audi A3Simple and easy. Saturday 09:31 - Mrs Morag Kerr, Edinburgh - Volkswagen PoloEasy. Saturday 08:24 - Mr Stephen Doody, Northolt - Rover 45The ease and convenience of selling it on line. Friday 20:56 - Mrs Eileen Oscroft, Nottingham - Peugeot 206Easy to navigate website and very clear. Friday 19:26 - Mr Sorin beniamin Iacob, Oldham - Audi TtGood price. Friday 19:02 - Mr Wayne Daniel Bedford, Wellingborough - Alfa RomeoInstant quote. No messing. Friday 17:51 - Mrs Lisa Britton, Spalding - Peugeot 206Quick. Friday 17:26 - Stuart Blair, Paisley - Ford FiestaEasy site to use. Friday 16:59 - Rosie Russell, Keighley - Land Rover FreelanderQuick and easy. Friday 16:47 - Mr Mick Upex, Peterborough - Fiat PuntoVery easy to sort out collection of car and arrange collection date and time. Friday 16:07 - Mr Aaron Day, Biggleswade - Ford FocusEasy and fast. The scrap and used car buying service from CarTakeBack.com has thousands of happy customers. You can contact us by online chat, email or phone for any help you may need or questions you may have.